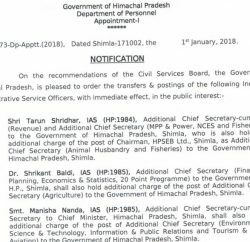 New Delhi: Himachal Pradesh government renewed its agreement with New India Assurance Company Limited to continue the Rashtriya Swasthya Bima Yojna (RSBY) in the State for the next financial year. 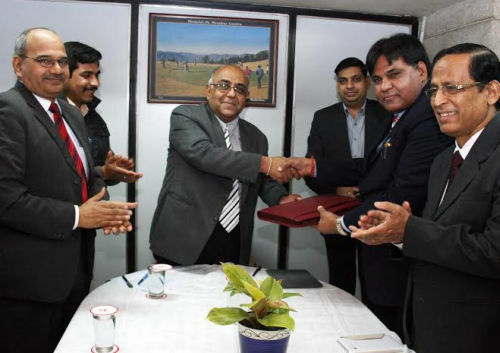 Additional Chief Secretary (Health), Himachal Pradesh Vineet Chaudhary signed the agreement on behalf of the State Government and Darshan Lal, Chief Regional Manager, The New India Assurance Company on behalf of the Insurance Company. The next round of the policy would be started from 1st June, 2014. Chaudhary informed that more than 3.83 lakh people in the State have been issued smart cards and about 19 lakh persons have been covered under RSBY. Besides, more than 1.50 lakh RSBY smart card holders have availed the cashless treatment of about Rs. 58 crore in case of hospitalization through empanelled hospitals within and outside the State. He said that RSBY is being implemented in Himachal Pradesh to provide health insurance coverage of Rs. 30,000 in case of hospitalization to the RSBY smart card holders under Basic Package. BPL families, MNGREGA workers, Building and Other Construction Workers, Street Vendors and persons with more than 70 percent disability had been covered under the Scheme. 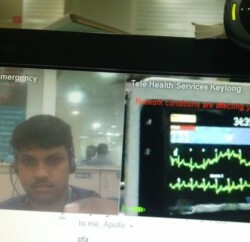 In addition to above, the State Government is also providing an additional benefit of Critical Care to the tune of Rs. 1.75 lakh in case of hospitalization. The Critical Care facility is being provided in IGMC Shimla, Dr. RPGMC Kangra at Tanda and PGI Chandigarh. Chaudhary said that for providing the facility at PGI Chandigarh, the HP Swasthya Bima Yojna Society has hired an office there. The State on 19th February, 2014 had decided to extend the benefit of RSBY to the Sanitation Workers, Rag Pickers, Auto Rickshaw Drivers, Tax Drivers, Registered Street Vendors (Rehri-Phari) and all the contractual employees of the State. The State Government will pay the full premium in respect of contractual employees and 75:25 in the ratio with GoI in respect of other categories. About 8 lakh families will be benefited during the next financial year. Madhab Khamrai, Chief Manager, The New India Assurance Company Limited, Mumbai. Sandeep Gupta, B.M. NIAC, Chandigarh, Devinder Kumar Consultant RSBY, H.P. Rajan Subramanyam, CEO, Vipul Med Corp TPA Limited, New Delhi and Anoop Shukla, Manager, Vipul Med Corp TPA Pvt. Limited New Delhi were present on the occasion among others.